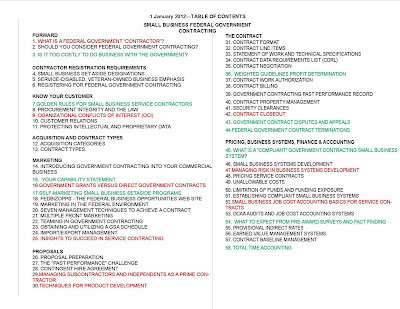 Small businesses consistently encounter FAR and CAS requirements upon entering or growing into federal government contracting. 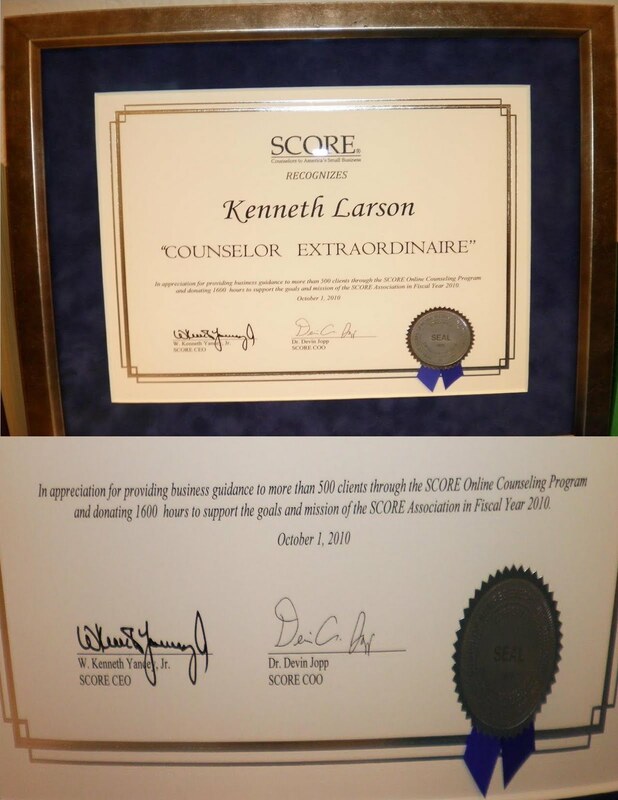 The purpose of these standards is to supply uniform regulatory guidance to all companies doing business with the government and to the agencies that buy from them. This article will discuss a basic understanding of FAR and CAS as well as the methods to design approaches to meeting them. 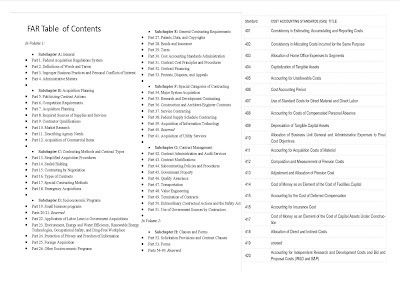 The below table contains the principal FAR chapter titles and each of the 19 CAS clause titles (CAS 419 was never written). Linked below the table are the web sites that can be utilized to explore these documents. The FAR applies to the full acquisition cycle for all supplies and services the federal agencies buy. 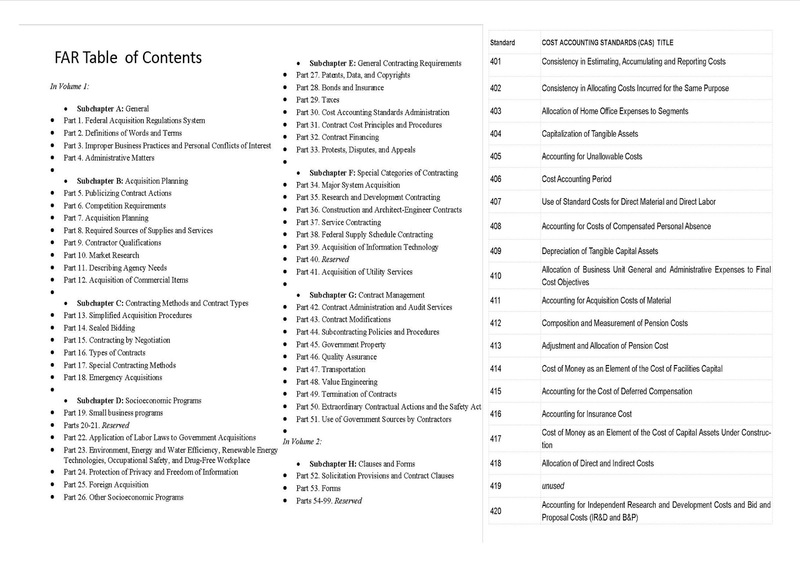 The CAS apply to consistency in estimating, pricing, job cost accounting, billing and closeout of financial data under the contracts for supplies and services regulated by the FAR. FAR and CAS are not "Rocket Science" but they are different than the commercial business sector. No one ever reads the full body of FAR and CAS from cover to cover. 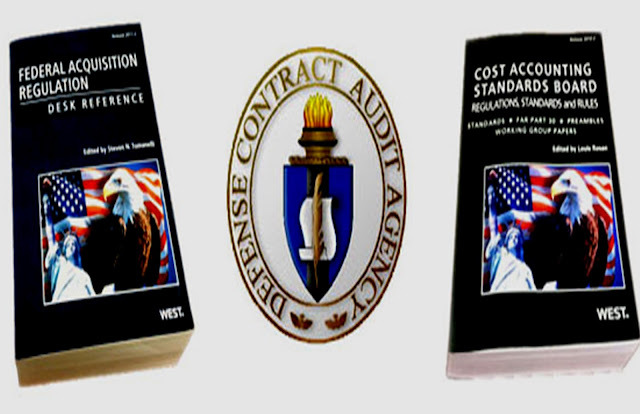 They are reference documents, maintained by the government to oversee the contracting process. From time to time changes to the regulations are offered for public comment at the FAR web site. Such changes are more common in the FAR than in CAS. The CAS have been constant for several years and are not as dynamic as the detail processes in the FAR. 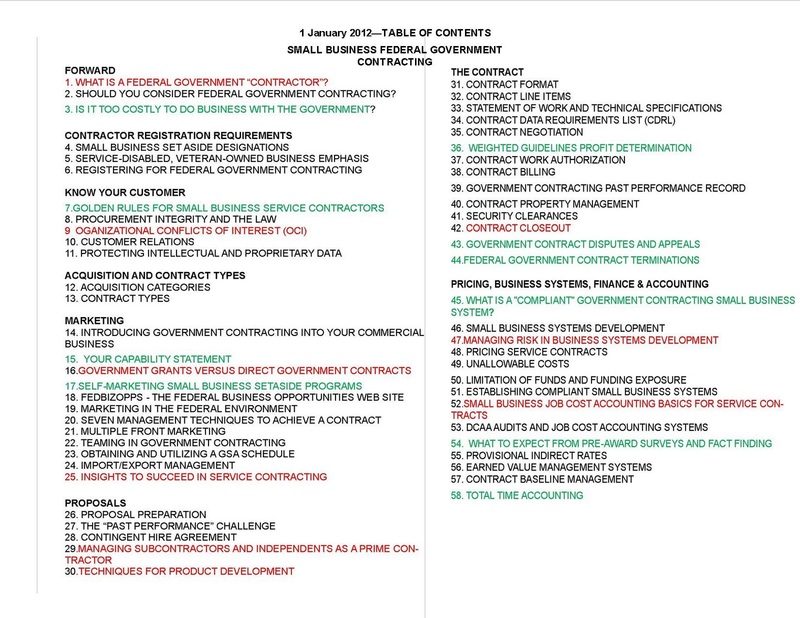 Use the FAR and CAS links to determine the basic terms and conditions and examine the solicitation source documents to read in detail the clauses you must understand to effectively bid federal work. While assessing the impact of FAR and CAS on your company educate yourself on that what directly affects your company first in making the transition to federal government contracting and growing into the field. Carefully maximize your existing business processes and systems first before making changes and do not jump to instant fixes with exotic software tools a supplier or consultant has told you will make you compliant or competitive overnight in government contracting. FAR and CAS are generally logical bodies of regulation that have come about due to the need to control and make consistent the government and industry approaches to meeting prudent and sound contracting objectives with the necessary transparency to govern. FAR and CAS do not impose business systems. They do require that you disclose the way you meet regulatory requirements in the way you operate with your processes and tools. Plan the approach and learn to convey it to auditors, contracting officers and industry partners. Grow into the business by exploring the venue and having it grow into you.